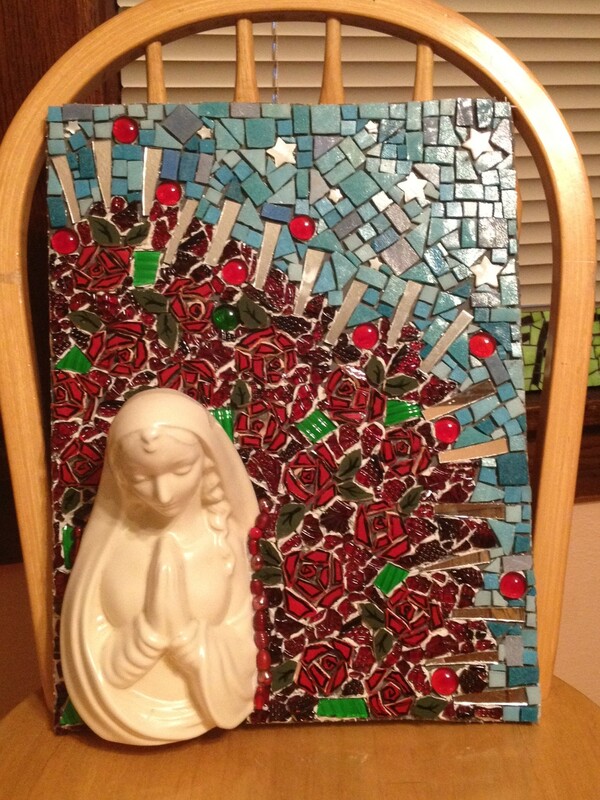 So, this week I finished “Our Lady of Roses” and will be grouting her this weekend. Here she is, completely mosaic’d. 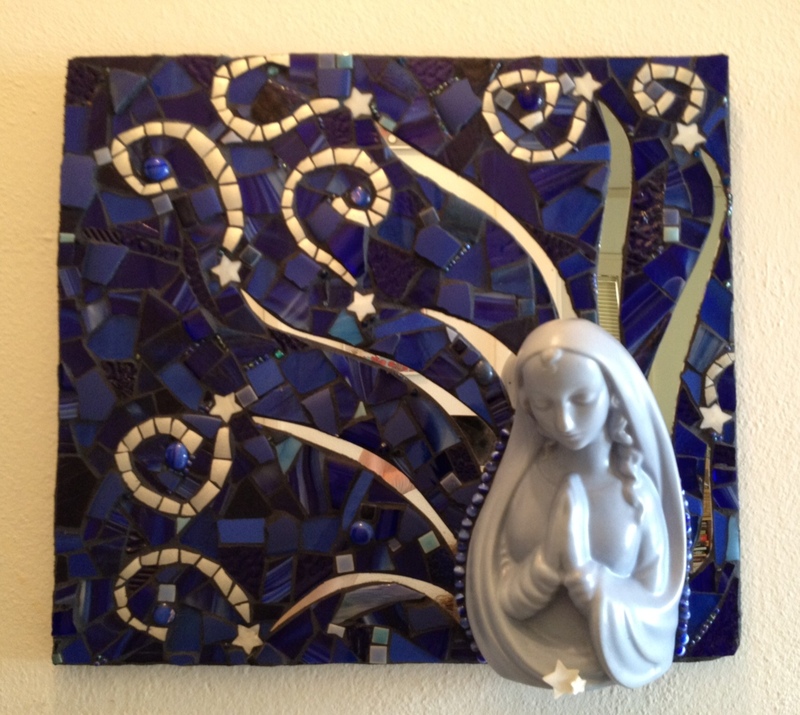 I have two more that I don’t have finished pictures of now that they have been grouted, but you can take a peek at the “in process” pictures of “Our Lady of Cherry Blossoms” and “Fugue, Our Lady of the Streets.” I promise to get finished pics for next week! I am also working on a giant interpretive Gerber daisy–pics of that too. 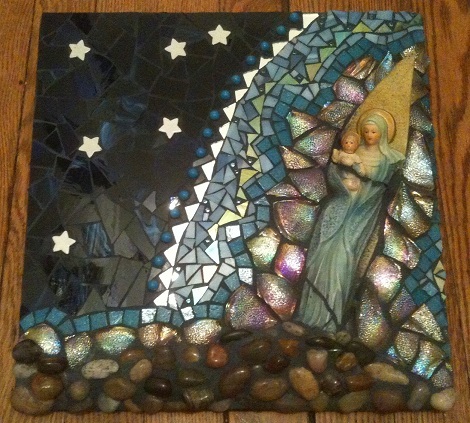 This entry was posted in Finished Work and tagged madonna, virgin mary. Bookmark the permalink.